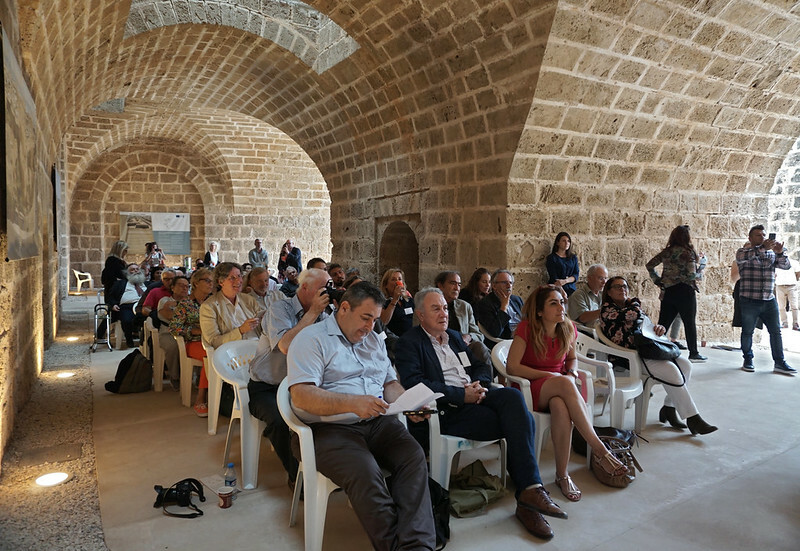 On the afternoon of 24 October, during the second day of the 5th Anniversary Conference of the 7 Most Endangered programme and Capacity Building Days on Endangered Heritage in Nicosia, participants visited some of the most impressive buildings restored by the bi-communal Technical Committee on Cultural Heritage (TCCH) in the Walled City of Famagusta – a city located on the East coast of Cyprus and constructed over many centuries, which includes important examples of military architecture and religious heritage representing the different faiths of Cyprus. Conference participants were given a guided tour of the Martinengo Bastion, several Churches located in the Cluster and the Othello Tower. They were welcomed in the impressive setting of the Martinengo Bastion – a prime example of state-of-the-art renaissance military architecture created by the Venetian architect Giovanni San Michelle between 1550-1559 – by Naciye Doratli, Professor at the Faculty of Architecture of the Eastern Mediterranean University; Vice Rector (Administrative and Technical Affairs); Director of the EMU – Centre of Cyprus Studies; former member of the Nicosia Master Plan team and member of the Europa Nostra Scientific Council. Ambra di Nuzzo, Programme Manager in Cultural Heritage – Cyprus Settlement Support at the European Commission, stressed the support of the European Commission to the Technical Committee from the very beginning. Since early 2012, the EU has provided almost 15 million euro through the Aid programme for the Turkish Cypriot community to implement the priorities of the TCCH, including 4 million for projects in Famagusta, such as the Martinengo Bastion, the Othello Tower, Ravellin Bastion and the Venetian Walls (read more). She highlighted the essential contribution that culture and cultural heritage can bring for the building of peace between divided communities and for the economy. In a special message addressed to the conference participants, Tiziana Zennaro, Head of Office/Programme Manager at the United Nations Development Programme (UNDP), emphasised the assistance that the UNDP has given to the Technical Committee since 2010 to preserve cultural heritage of Cyprus. UNDP directly implements and administers the Committee’s conservation works and visibility efforts, hence creating a favourable environment for the non-political consideration of cultural heritage on both sides of the island. 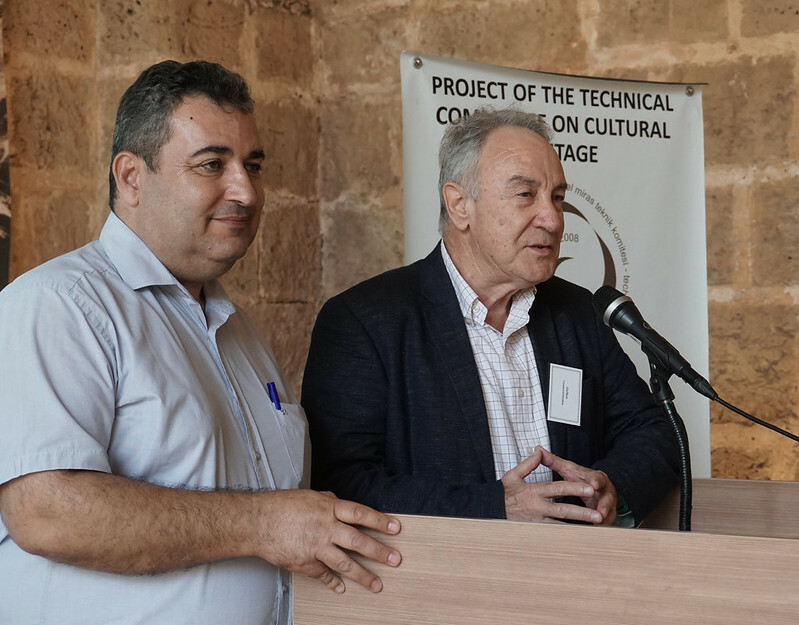 Ali Tuncay and Galfkos Constantinides presented the Technical Committee on Cultural Heritage, a bi-communal mechanism created in 2008 to support the Cyprus peace process by promoting and protecting the rich and diverse cultural heritage of Cyprus. They stressed that the protection of cultural heritage is an integral part of the ongoing peace and reconciliation process. Through the TTCH projects, dozens of archaeologists, architects, engineers, art historians and town planners from both communities have been working together to preserve the island’s cultural heritage. Ege Uluca Tümer, member of the TCCH Advisory Board, gave a detailed explanation of the history of Famagusta and the restoration works on the Martinengo Bastion (2017-2018) and other important conservation projects of the city, including the structural consolidation of the Othello Tower (2012-2015), the Ravelin Bastion (2016-2018) and the Venetian Walls (2016-2017). 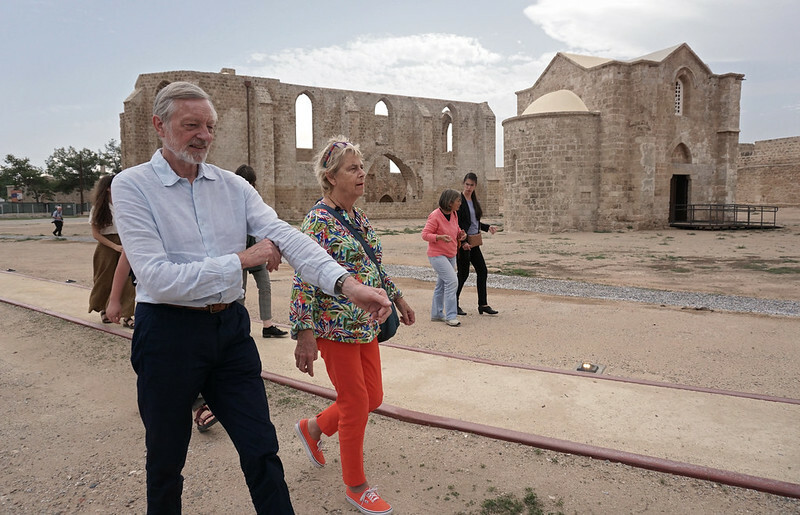 The work of the TCCH in Famagusta, current and projected, will, in terms of resources allocated, amount to about a quarter of the current EU funded Technical Committee’s budget, which reflects the importance attributed to the history and significance of this area and its future. The second and last day of the Conference concluded with an outdoor dinner kindly offered by the UNDP at Aspava Restaurant in the Walled City of Famagusta.